As an avid lover of all things British and European, I’m naturally obsessed with monarchies. Now add the fact that I love weddings and you have an eternal royal wedding obsession indeed! So in light of these two combined obsessions, I’ve decided to create a Royal Bridal Inspiration board for all my wonderful readers. (Side note: if you’d like to create your own wedding or other inspiration board, I highly recommend Picasa.) 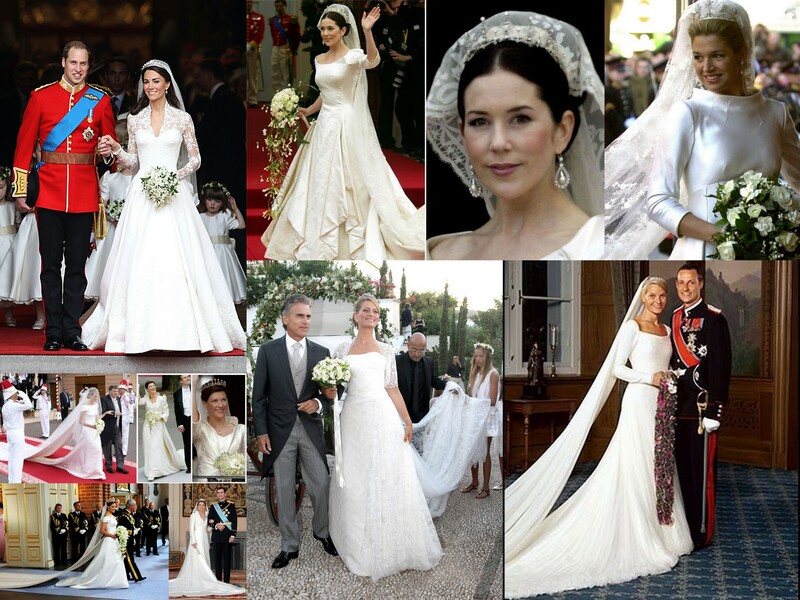 This board features these royal brides (top to bottom, left to right): 1) Princess Catherine a.k.a. Kate Middleton and Prince William of the British Commonwealth, 2) Crown Princess Mary of Denmark, 3) Princess Maxima of the Netherlands, 4) Princess Charlene and father, Michael Wittstock, of Monaco 5) Princess Martha Louise and Ari Bjørshol of Norway, 6) Princess Tatiana Blatnik and Prince Nikolaos of Greece and Denmark, 7) Princess Mette-Marit and Prince Haakon of Norway, 8) Crown Princess Victoria and father, King Carl XVI of Sweden, and 9) Princess Letzia and Prince Felipe of Asturias. Enjoy!